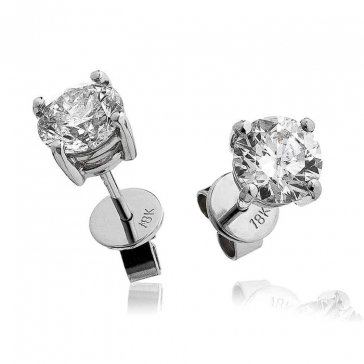 Simple yet stunning diamond studs featuring round brilliant cut diamonds in a four claw setting set in solid 18k white gold, this classic setting gives the best view of these quality G Colour, SI clarity diamonds. Delivered free with a luxury wooden gift box, authenticity certificate and a full 12 month guarantee. Thanks a lot for the georgeus earstuds Received Today. I will recommend your Company to All.